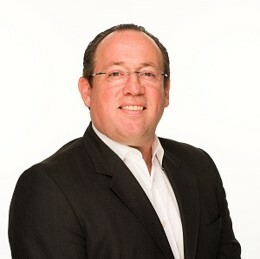 Derrick joined Beaufort Financial in 2018 and is the Chief Executive. He has overall responsibility for the direction and strategy of the business. Derrick has extensive experience of the financial services sector. Most recently he was Chief Executive of Sanlam FOUR which he founded in 2006. Derrick began his career at Russell Investments in 1990, moving to Stamford Associates in 1994 and then Mercer in 1998. He subsequently went on to build Attica MM from 2000 which was acquired by American Express, before founding FOUR Capital Partners which was later acquired by Sanlam. Derrick possesses an in-depth understanding of the wealth management industry having worked with operational and governance structures of both large and small companies, successfully navigating them through challenging economic environments and substantial regulatory changes. He was nominated as a finalist for CEO of the Year in leading industry awards in 2015 and 2016 (Financial News & Professional Pensions Investment Awards). When away from the office, Derrick’s family keep him busy. He likes socialising with his friends and is an avid rugby fan.